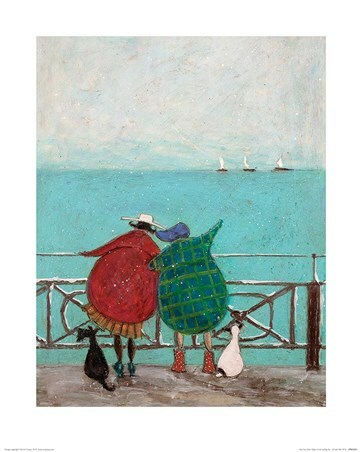 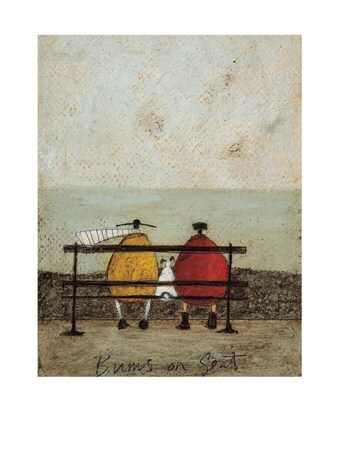 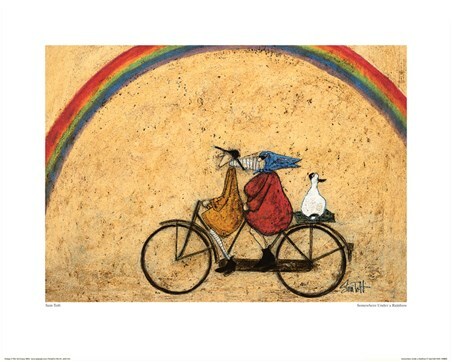 Brighton based artist, Sam Toft, had many career opportunities, from a fire extinguisher saleswoman to a silver-service waitress, but luckily for us, she followed her true passion and became an artist! 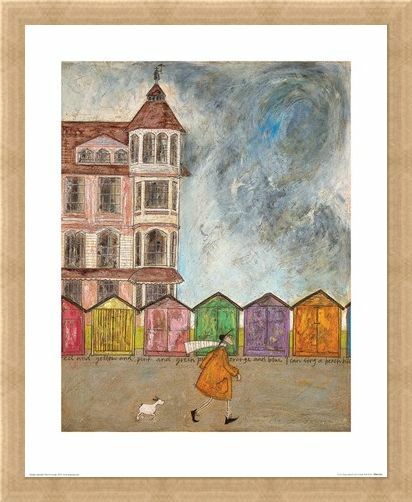 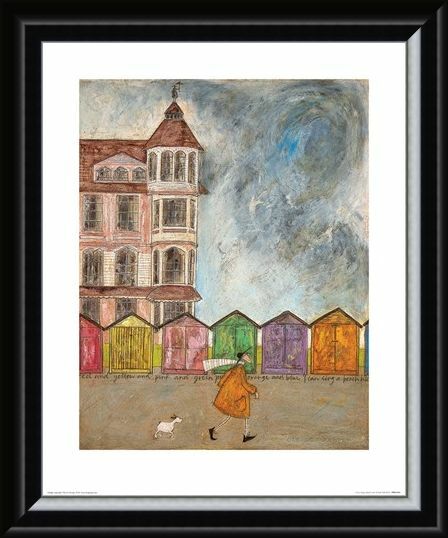 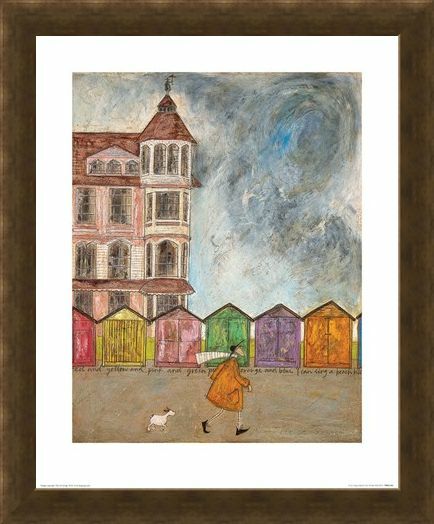 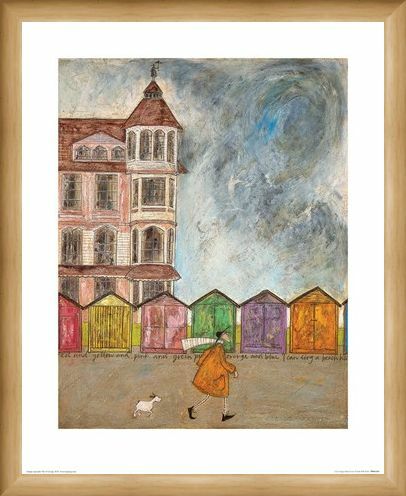 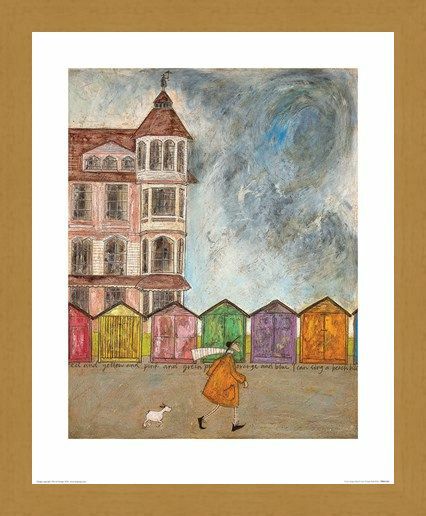 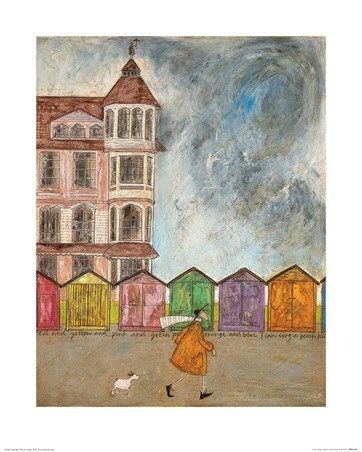 Featuring Mr Mustard and his pet pup, Doris, this print pictures the duo enjoying a leisurely stroll along the seafront with a row of colourful beach huts pictured against a dreary looking sky. 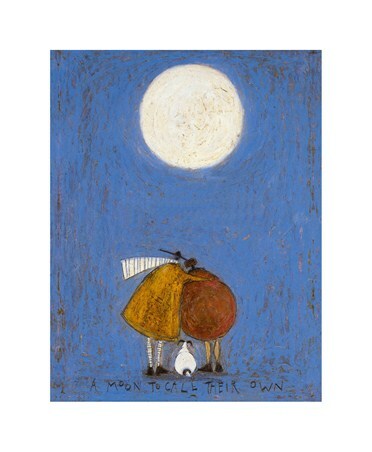 High quality, framed I Can Sing a Beach Hut, Sam Toft print with a bespoke frame by our custom framing service.